How to choose a Right Broker for Forex Trading ? Making a choice of broker for conducting trade is an important step, and thus it is necessary to ensure that a well-thought decision is taken. The forex broker selected for conducting trade should belong to a recognizable and reputable market background and should also possess servers that exhibit high stability. The selected broker should also possess regulation in at least one or two countries. A reputable broker will ensure that the investments made by the businessman are safe and will also ensure smooth trading. 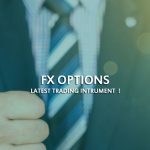 You can choose one of the reputable and reliable brokers from recommended forex brokers supported for Forex Sri Lanka Trading. 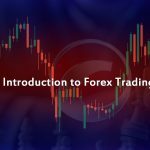 For Forex Trading Beginners it is important for them to be aware of the basic terms that are used while conducting a trade especially when someone chooses to start the Forex Trading from home. Quote: The currencies within the Forex Trading system are quoted in the form of pairs like EUR/USD, CAD/USD, etc. This quoted pair of currencies is referred to as Quotes. The currencies mentioned on the left side of the slash is referred to as the base currency and the currencies mentioned on the right side of the slash are referred to as the quote currency. Bid: The bid is referred to as the price which is contemplated to be the best price for buying the base currency in exchange for the quote currency. Ask: The Ask price is also known as the offer price. It refers to the best price that is available in the market for buying the base currency in exchange for the quote currency. Long: The buyer chooses to wait for the rise in the prices of the base currency and begins the trade only after the rise in prices begin to happen. This process of buying the base currency at a higher price and selling it at the even much higher price is referred to as the process of going long. Short: The short refers to the process of selling the base currency after the rate of prices begins to fall and then buying at even much lower prices. Lot: The currency trading in Forex takes place in a specific size of the unit. This size of the unit is referred to as Lot. The standard size of the trade is 100,000 which can be converted into mini, micro and trading lots. Pips and Pipettes: A specific method of quoting the currency pairs in 5, 3 or 2 decimal places has been devised by Pepperstone, and these are known as fractional pipettes. Spread: Spread refers to the difference in the prices of the BID and ASK as per the market quotes. The ASK price is found to be applicable over a Buy order whereas the BID price is found to be applicable over the SELL order. Leverage: The ability to take control over a large amount of money existing within the forex trade market is known as leverage. Through the use of leverage, the trader or the investor is able to make marginalized profits over the microscopic currency movements taking place on a daily basis and simultaneously risks only a very little amount of capital at a given position. The leverages have found to cause an exponential increase or even a decrease in profits, and therefore the leverages should be used cautiously. The greater the size of the position, higher will be the value of pip which as a result would have a greater impact on the amount of profit or loss incurred. MT4 / ctrader trading terminals indicates the value of free or available margin. Margin Call: The margin call is the warning message given to the investor or the trader when his/her account runs out of sufficient funds that are required for the survival of investor in the current open positions in the market. In this case, when the trader's account is devoid of the required funds, he/she is requested to add the additional funds in the account through the means of the margin call. If the trader is not able to maintain an adequate amount of funds within his/her account, then the currently open position of the trader in the market closes down. This is done in order to protect the trader from suffering through negative equity. However, the traders should avoid relying on any such means as it is important to realize the fact that it is not a guaranteed means of protection. Hedging: It is the process of opening a new position in the opposite direction of an existing position on the same instrument. There is no need of additional margin calls while hedging a position. However, it is important to keep in mind that a trader cannot hedge onto a new position if his/her account does not have sufficient usable funds. Rollovers/Swaps: Forex trading helps in generation of interest income as well as capital gains. Since the trade in forex considers the involvement of two different currencies being traded in pairs and each of the currencies have their individual interest rate. In cases where the interest rate of the currency bought by the trader is higher than the interest rate of the currency sold by the trader then the trader is subjected to earn interest or rollover (also referred to as the positive role). In cases where the interest rate of the currency bought by the trader is lower than the interest rate of the currency sold by the trader then the trader is subjected to pay a rollover (also referred to as negative role). The rollover/swaps have been found to add to the cost or profit of the trade. The size of the position tends to increase or decrease on the basis of the increase/decrease in the size of the rollover amount. 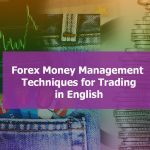 A large amount of money is not required for starting off with the currency trading because of the margin trading feature offered by the brokers. There is a minimal requirement in the beginning for setting up the account over the broker platform, or one can even opt for the no-deposit bonus to start off with the forex trading ( If you are looking for a broker that offers free bonus. You can try Tickmill . They offer USD 30 after your first deposit. ). However, it is advised to start off with a deposit of a higher amount in order to ensure a little bit of buffer in case the trader or the investor suffers from losses or your trade goes against the direction predicted by you. Making the choice of a broker is one of the most important tasks for trading online. They help the traders in getting access to the forex market and trade by making online platforms available to them. It is important for the traders to choose the right broker for themselves in order to achieve their financial goals. 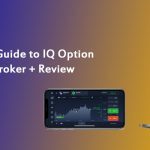 Before selecting a particular broker, the traders should carry out a comparative study between the different brokers and their feature in order to get the best one for themselves. Some of the factors that should be kept in mind while choosing the broker are regulation, license, currency types offered, demo account offered or not and payment methods offered by the broker. After the broker has been selected continue the trade with opening a demo account on the broker’s platform. This account is provided to the trade for a specific duration of time. By opening a demo account, the trader gains knowledge and experience of using the trading platform provided by the broker and can also practice trading so that he/she can get prepared for trading on the real platform. The trades done through the demo account does not involve the usage of real money so it is not having any risk like real account. Extensive training is required for gaining expertise in forex trading. Through practice one gains an idea about when to buy or place a sell. It is important to practice on demo account platform for a few weeks or months until you are profitable so that the chances of incurring losses by the trader alleviates. Also, practicing on demo account helps the traders in developing their own trading strategies. After practicing in the demo account platform, it's time to start trading with the real money. The trader should be able to get a live account by depositing a specific amount of money in the account as recommended by the broker. There are some strategies that might give you tremendous results while others may not. However, the basic fundamental principle of making profits is to repeat that strategies that help in making profits and avoiding the strategies which don't. Patience and good Forex money management techniques are important to minimize losses and maximize profits. 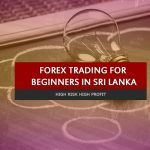 You can do Forex at home online or as an online part time job in Sri Lanka.It carries potential high profits but you have to understand that it carries equally high risk. So forex trading is suitable only for those who can understand the risk factor involved in it. So trade with patience to be successful like famous forex brokers !